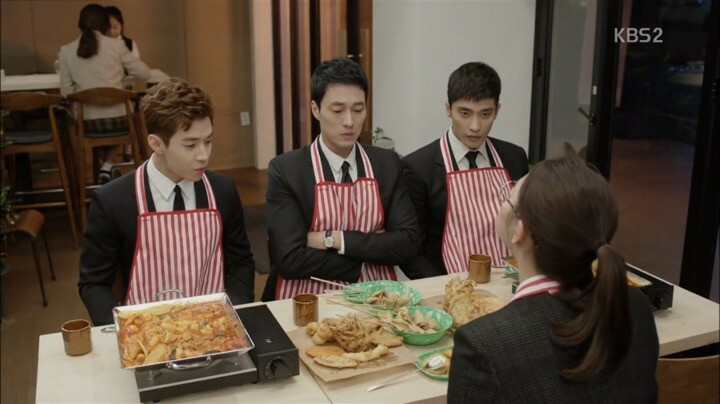 Oh My Venus is an upbeat romantic comedy with an endearing lead couple, and an even more lovable supporting cast. 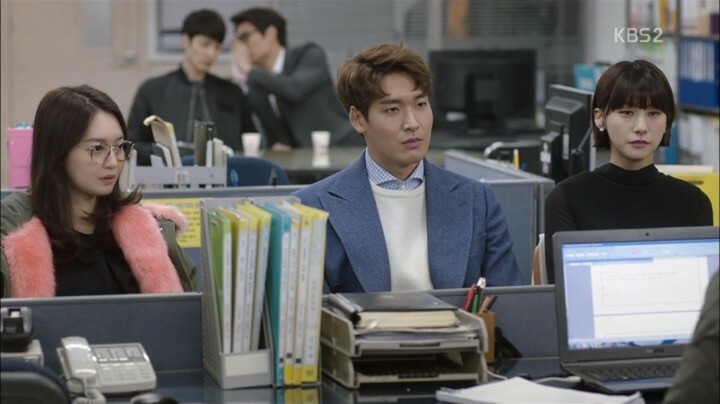 The premise of the drama is as mundane as it can get – chubby, sassy, newly dumped lawyer Kang Joo Eun (Shin Min Ah) wants to lose weight. And a mysterious fitness trainer Kim Young Ho (So Ji Sub) with a soft spot for people in ‘trouble’ is going to help her. 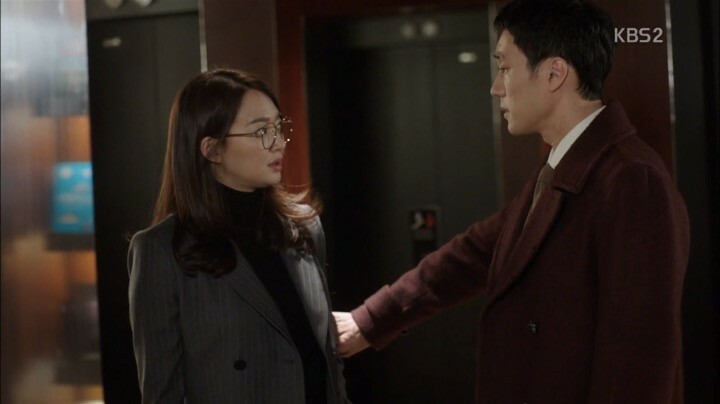 Yet despite such a simple and silly topic, Oh My Venus brings more emotional depth to its characters through their heart-wrenching backstories and daily struggles than most melodramas do, all the while maintaining a lighthearted, sweet atmosphere. So much charm and swoon are packed into one drama. In the world of Oh My Venus, the most glamorous characters all seem to have one thing in common — a painful past. Whether it’s the chic lawyer who was once overweight and ridiculed, or the fighting champion who was abandoned as a child, or the chaebol who spent his entire life combating a rare disease, we learn to sympathize with them quickly and wholeheartedly. These characters humanize the drama such that even the most extraordinary ones seem ordinary and relatable. But that’s not to say that the drama was overly sappy. 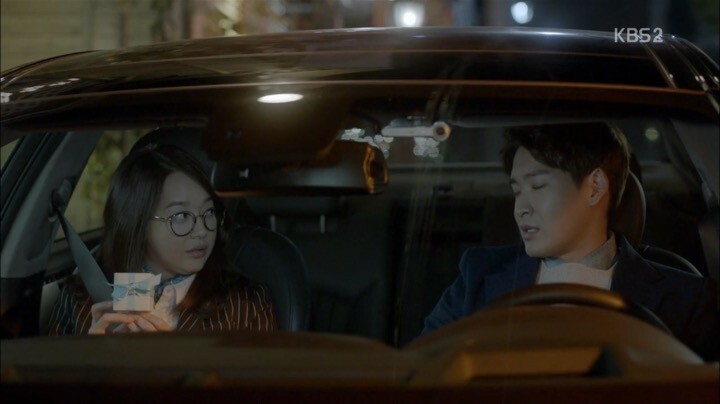 In fact, Oh My Venus was at its best with its cutesy moments, which seemed to never end. From the maknae manager, Kim Ji Woong (Henry Lau), who constantly switches between English and Korean in the most adorable manner, to the dimple kiss exchanges by our lead couple, so much charm and swoon are packed into one drama. The introduction of characters is done stylishly and without hassle. By the end of the first episodes, we’re fully acquainted with all of our main characters. We start with a look at our leading lady Joo Eun’s teenage years and immediately move to her adulthood where she is no longer as slim and beautiful as she used to be. For a brief moment, I felt sorry for Joo Eun who is clearly in a rut in all aspects of her life — her unrewarding busy work life, her poor eating and sleeping habits, and the obvious lack of fire in her 15-year-long relationship with her high school sweetheart Im Woo Shik (Jung Gyu Woon). But I felt better when the drama does a good job of showing that her upright, straightforward personality is still the same through her internal thoughts that were frequently shared with us. From the mature way she handled her break up with Woo Shik, we’re also able to see that she is a strong woman. The incident that brings our leads together is as hilarious as it is embarrassing, and I can’t help but cringe when Young Ho lectures Joo Eun about her health. Meanwhile, Young Ho is mysterious enough that he wants to hide his real identity and from his family for unknown reasons. 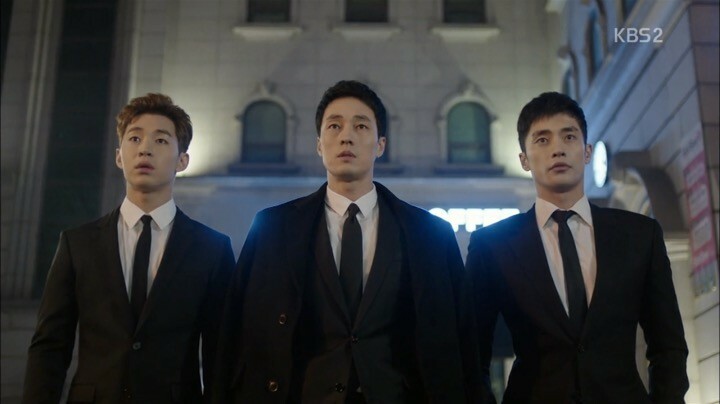 So, along with his lackeys fighter Jang Joon Sung (Sung Hoon) and manager Ji Woong, they trick Joo Eun into believing that Ji Woong is the world-famous personal trainer, John Kim. And so, Joo Eun starts her physical training and our story officially kicks into gear. Feelings and relationships develop quickly here as Joo Eun finds out who the real John Kim is and conveniently moves in with the boys thanks to a stalker. As she continues her training, it’s extremely entertaining to watch her engage in physical exercise of any sort. Joo Eun also starts to take her overall health a little more seriously, strictly living by the rules that her seemingly omnipotent Coach-nim has laid out for her. This inevitably helps her regain even more confidence to a large extent. Oh My Venus uses the common Korean drama trope of roommate hijinks, but does so in a totally inconspicuous way that doesn’t seem forced. One example is when Joo Eun haggles everyone to observe “Kang Joo Eun Day” — a day in which they all just enjoy life and eat whatever. It’s simply plain awesome to see how anguished this makes Young Ho feel. The romance between our main leads also start to build due to being in close vicinity of each other; even more so as our heroine loses weight to the joy and pride of her dear Coach-nim. But just as the budding relationship reaches its boiling point, reality pours right down as Joo Eun finds out once more that Young Ho still isn’t quite who she thought he is. Meanwhile, our supporting characters help fill the time in between and keep the drama preoccupied, sometimes to its detriment. Case in point, for whatever unfathomable reason, it seems that Woo Shik now has a problem letting go of the woman he actively broke up with, even while dating Joo Eun’s boss and former college friend Oh Soo Jin (Yoo In Young). Soo Jin is clearly insecure about herself due to her history of being overweight, and becomes increasingly annoying as she constantly tries to trample Joo Eun to boost her own confidence. The saving grace in Joo Eun’s life is her best friend Hyun Woo. Their friendship seems so real and is the one thing that I can personally relate to the most. This section of Oh My Venus is mostly episodes that create opportunities for our lead couple’s relationship to grow. It’s all warm and cozy until reality hits. Joo Eun takes some time away from Young Ho to gather her thoughts after finding out that he’s way out of her league. Young Ho goes after her in a very romantic manner, and she can’t help but to forgive him. Soon after, Joo Eun witnesses Young Ho at his possible lowest — when he’s desperately fighting his pain. This leads to a new level of understanding for each other’s imperfections and brings them even closer as a couple. Just like Joo Eun, I greatly empathize with Young Ho. His pains — physical and emotional ones — are portrayed in such a profound way that completely humanizes his character behind the standoffish facade on the outside. I can only imagine how tough it is to fight a disease for the better part of one’s life. His pains are portrayed in such a profound way that completely humanizes his character. Still, my favorite thing about this part of the drama is how open the relationship between our main couple is. They do not lie to each other, hide things from each other, become unnecessarily insecure about each other, or practice noble idiocy as most Korean drama couples tend to do. Instead, they embrace each other’s flaws and support each other emotionally. At the same time, it’s also absolutely entertaining to watch both Young Ho and Joon Sung try to understand and keep up with the females in their lives. Although their relationship is supposed to be a secret, Young Ho wastes no time in making it known to the people around him, just as the secret of his identity gets exposed to the rest of the world. All of a sudden, the issues Young Ho has wisely managed to avoid since the beginning of the drama become even more serious, and he’s forced to step up to the plate. The two reveals form a nice balance against each other to keep the tension going. I thought these are filler episodes at first, until I realized that the drama is building up to something bigger. Just when I start to think things are falling nicely into place, a series of unexpected events occur to scatter everything once more. The climax of this part of the story is so emotional that it makes me feel sad for our heroine and scared for our hero. 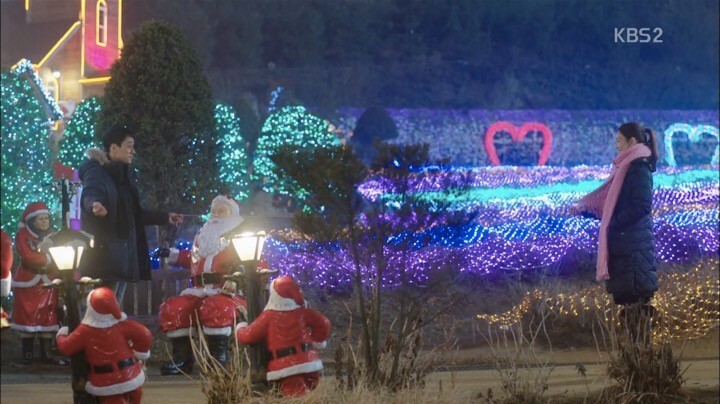 Our hero Young Ho spends some more time away from reality, trying to get used to the exposure of his identity and new expectations from his family. This affords him a chance to get even closer with his leading lady. After a short hiatus and with the help of Joo Eun’s encouragement, he decides to go full out and embrace his new role. Meanwhile, we’re also blessed with touching side stories about family and forgiveness. Joon Sung, who was previously known as an orphan finds his mother and tries to connect to her with Joo Eun’s help. The relationship between Young Ho and his father also improves monumentally as they begin to understand each other better. Young Ho finally realizes that his father has looked out for him all along. The final episodes of Oh My Venus are full of romantic moments that lead to a very happy ending. We get a heart-melting reunion, a rib-cracking Q&A session, and happy couples all around. 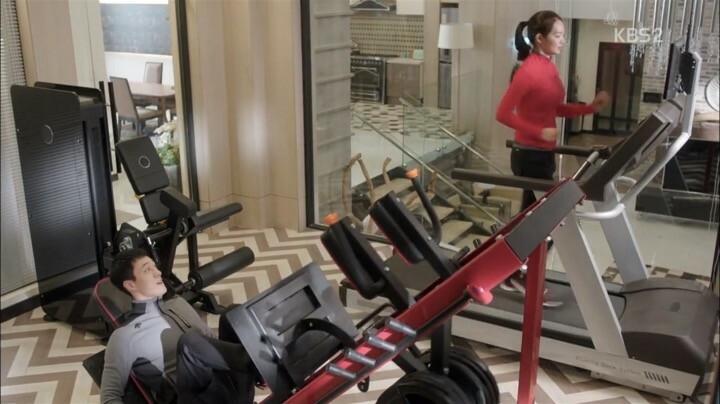 I also love and appreciate that the drama didn’t deviate from the central theme of physical fitness throughout; even during the last few scenes. I appreciate that the drama didn’t deviate from the central theme of physical fitness throughout. After disappearing for a while, Young Ho comes back as a new man. He immediately goes to Joo Eun and their reunion is as endearing as it is touching. The chemistry between them is almost palpable, jumping off the screen to burn me at times. 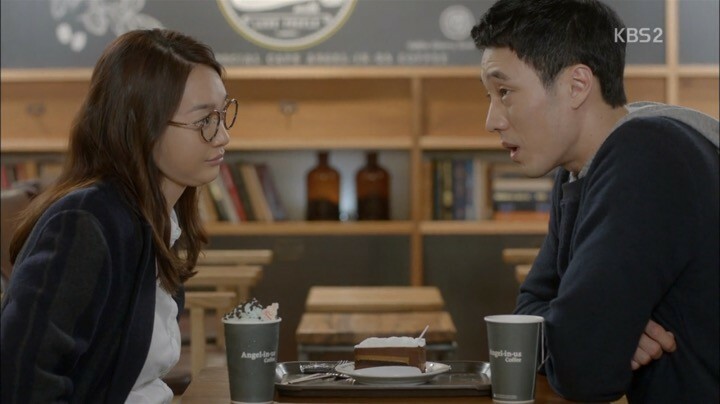 Young Ho proposes to Joo Eun in the sweetest, most romantic way. And after getting things like family introductions squared away, our lead couple get the happy-ever-after that they deserve. Beyond the cute finale, the drama does make a few bad decisions here. One is the constant intrusion of company affairs into the plot. It’s mostly irrelevant and became a tool to fill time. Another one is the very final scene showing our lead couple having met as children. Since they already ended up together, I found it unnecessary in trying to create a childhood bond so late in the story, not to mention that the “fate” troupe is such a cliche. Regardless of these minor issues, I’d still give Oh My Venus a thumbs up and recommend it for its tasteful dose of humor and romance. Every episode delivers a ton of laughter as our cast expertly transforms their script into animated, hilarious situations in this delightful drama. And the best part is that those characters didn’t have to be exaggerated, one-dimensional buffoons to achieve this effect. Rather, Oh My Venus brought them to life with touching backstories and logical emotional debts. One example of such a character is Soo Jin. At first I disliked her for her betrayal and awful attitude towards Joo Eun. But by the end, I began to sympathize with her unfortunate past and feel sorry for the lonely life that she has lived. There are so many more of these characters with stories in Oh My Venus that make the drama even more worthwhile to watch.